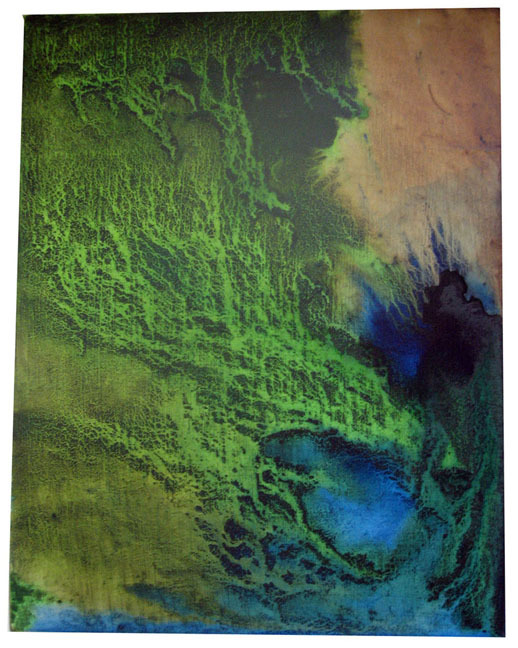 ‘the satellite series’ is a series of paintings that depict imaginary landscapes that are inspired by satellite imagery. 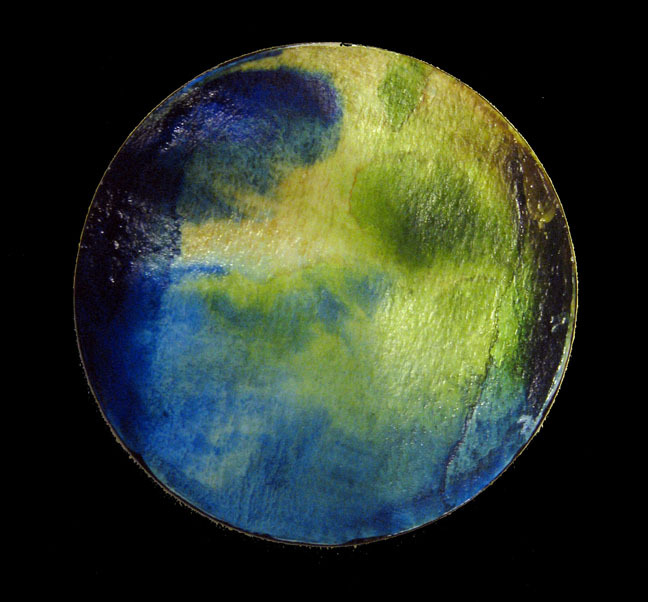 i am fascinated by pictures of land viewed from space. 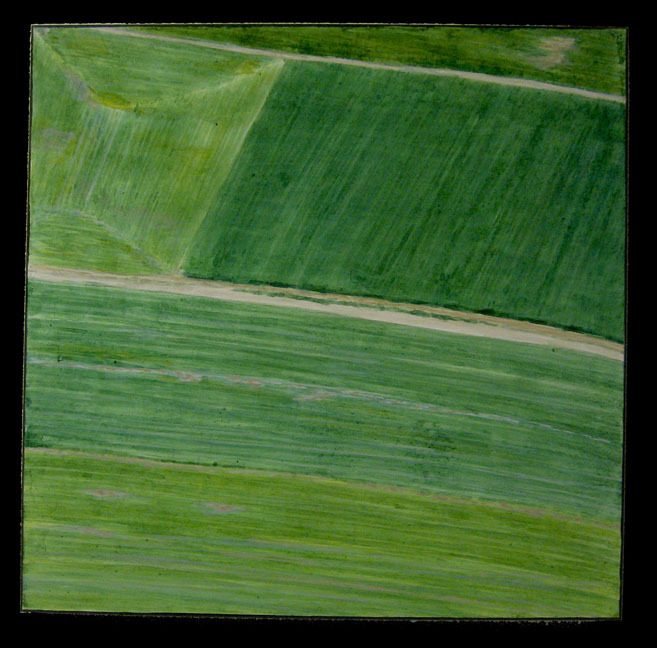 i have a visceral reaction to them that i don’t have to traditional landscape views. 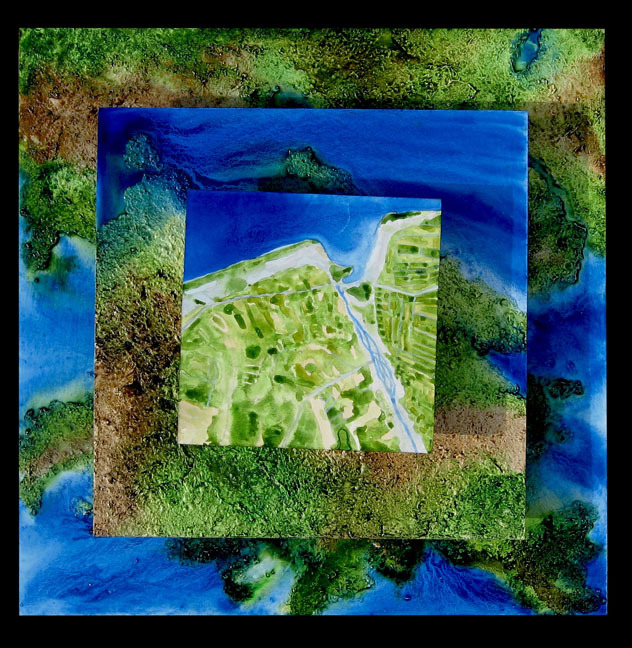 since google first went live with its satellite view of maps in 2005, the idea to paint satellite imagery has percolated in the back of my mind. then, last year, two things happened that made idea come to fruition. 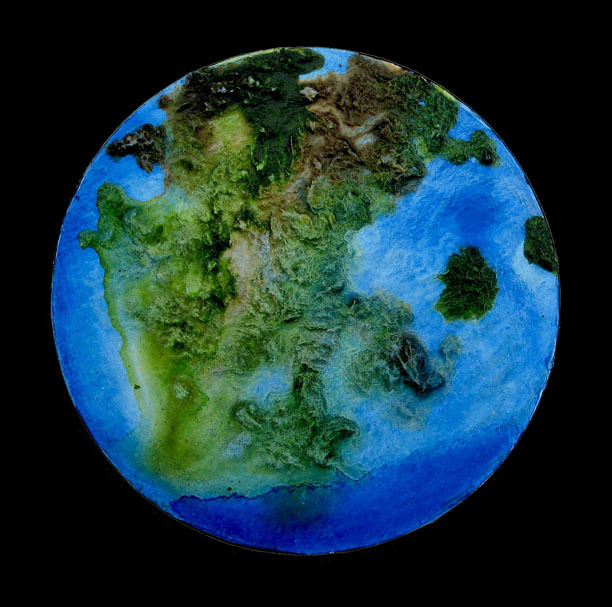 i came across a compelling satellite image of a snowstorm moving into southern ontario which inspired a sculpture series called ‘snow’. 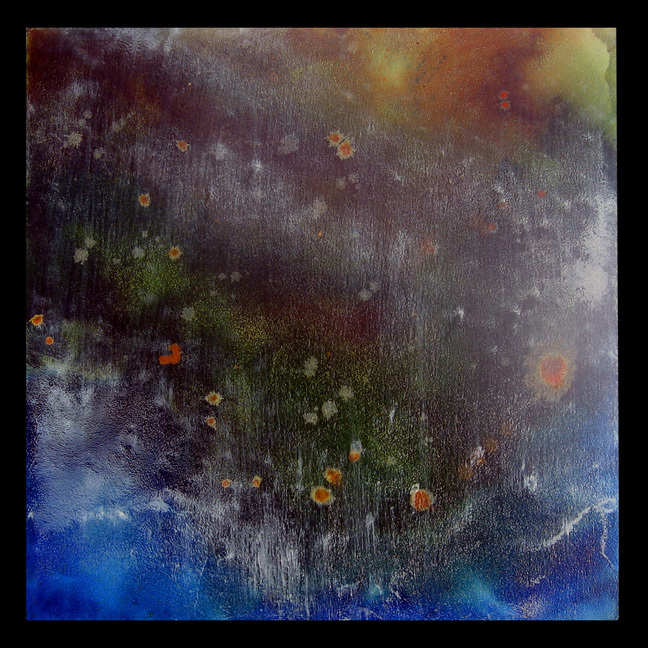 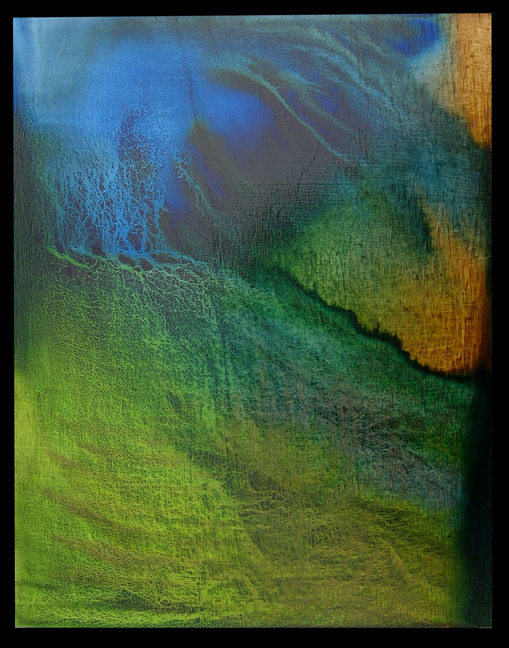 the ‘snow’ series evolved into the current ‘satellite’ series as i also began experimenting with acrylic inks and discovered a new method of painting that was perfectly suited to reproduce the images in my mind. 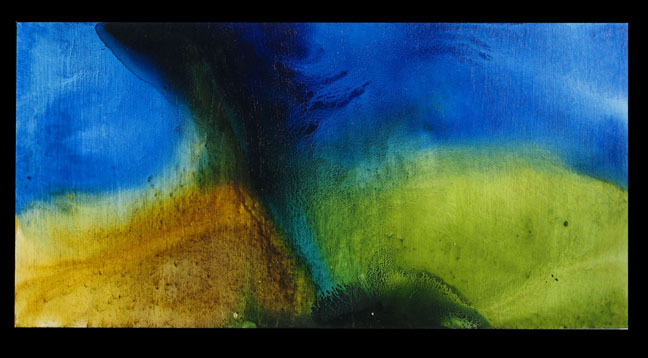 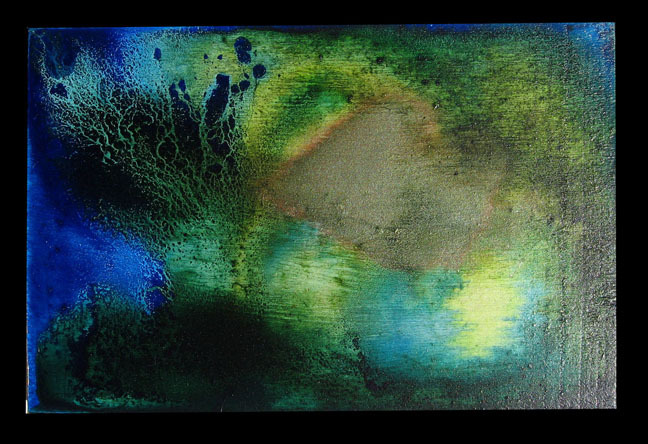 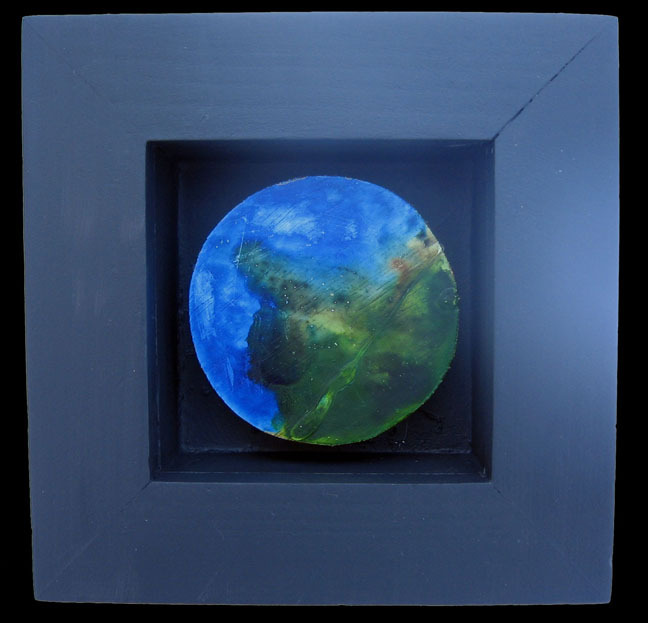 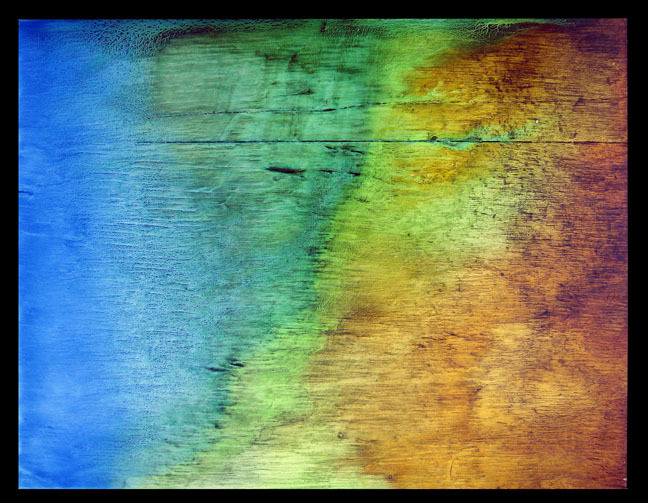 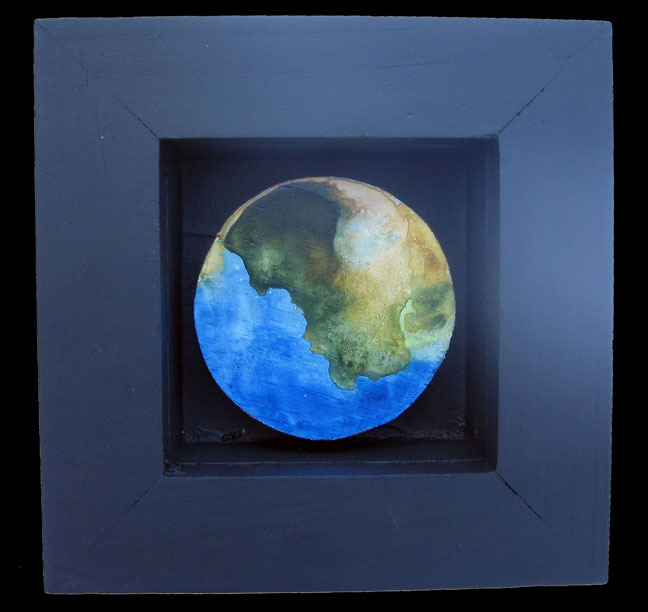 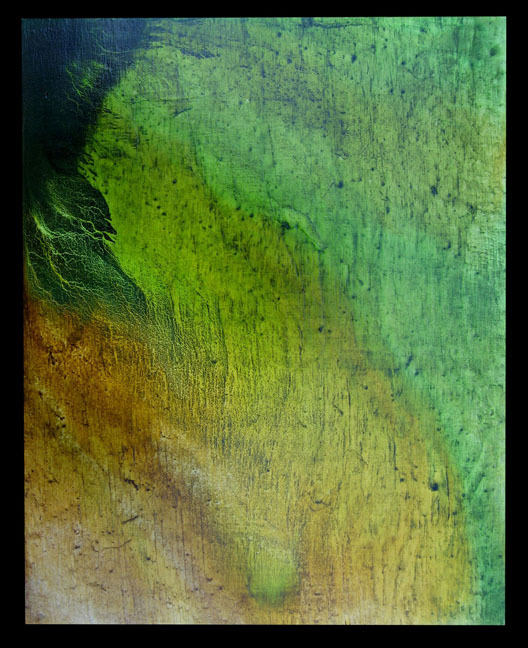 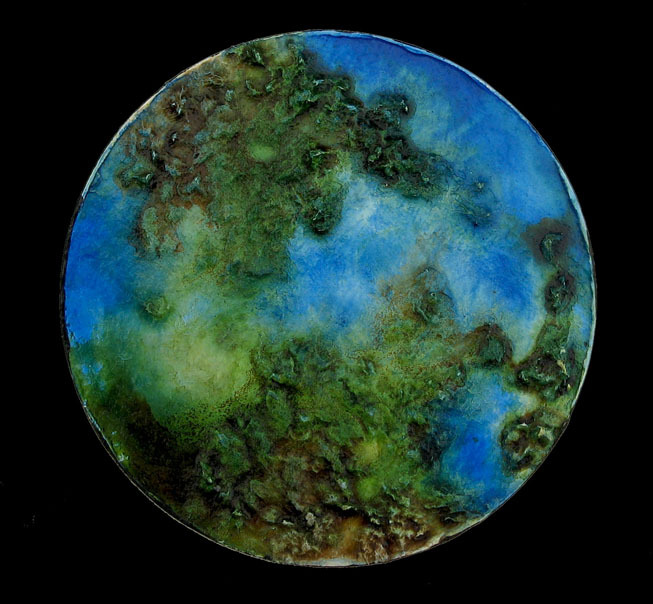 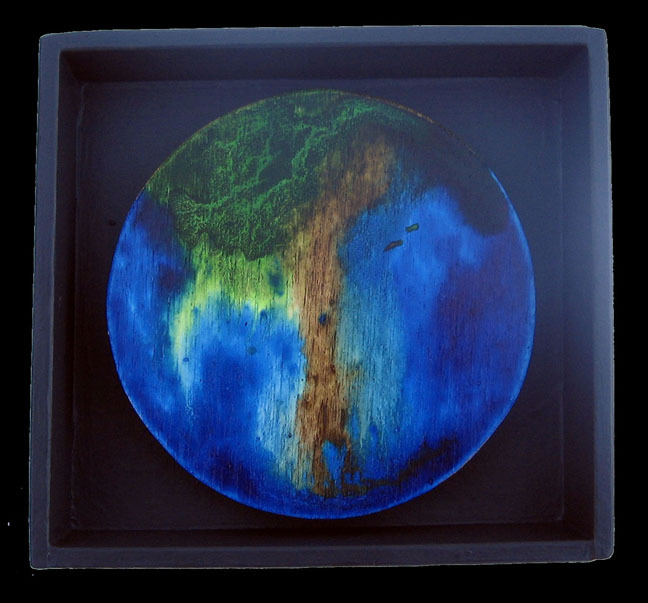 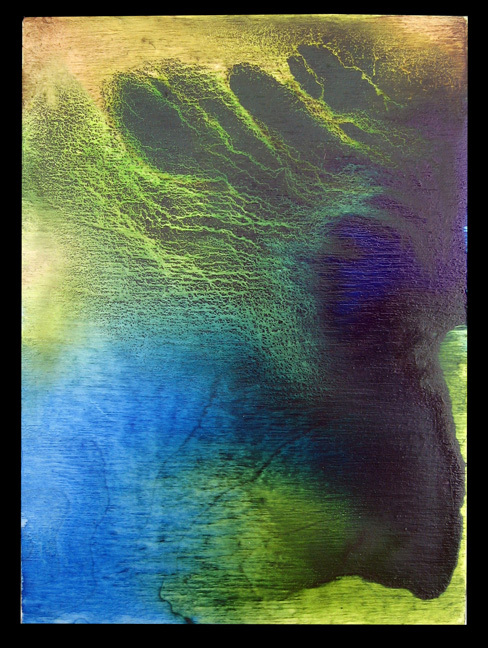 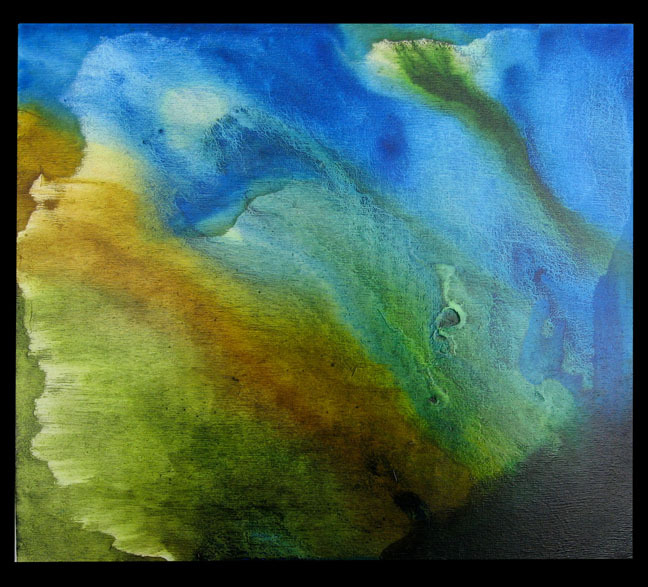 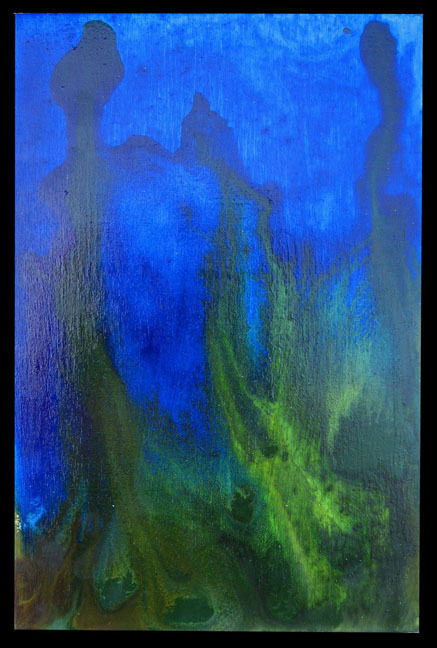 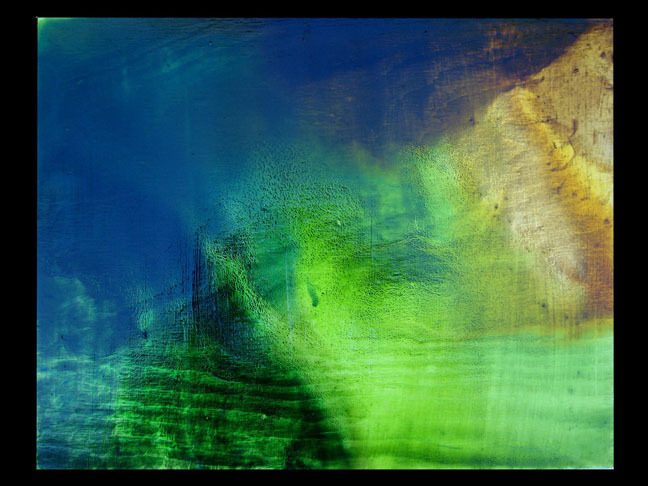 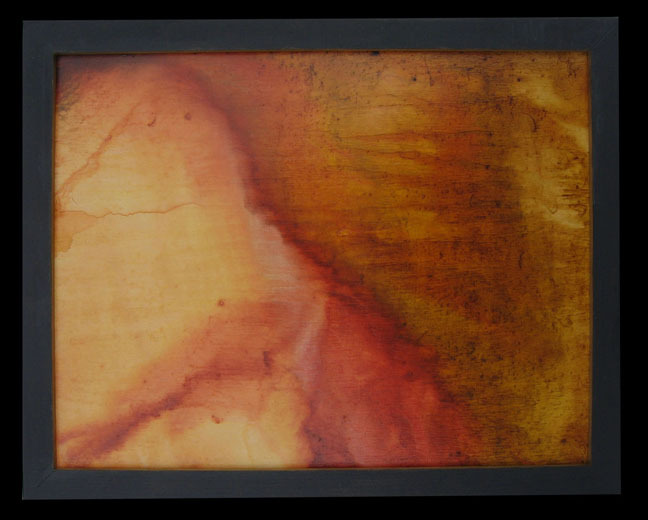 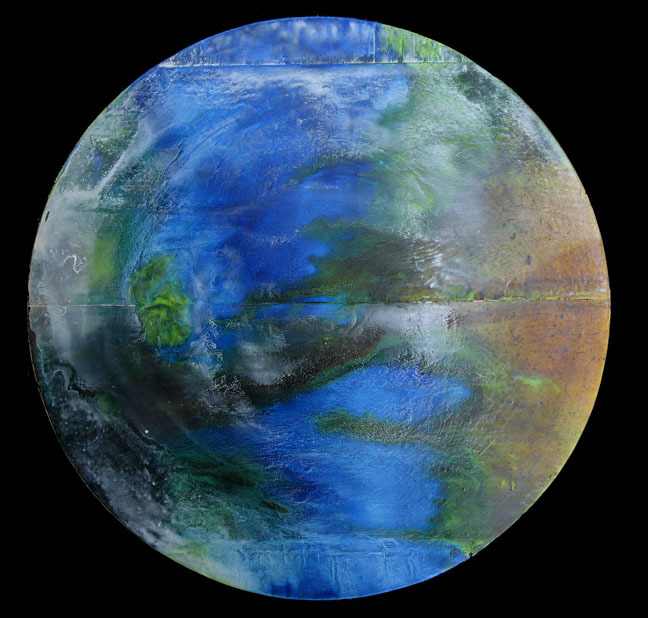 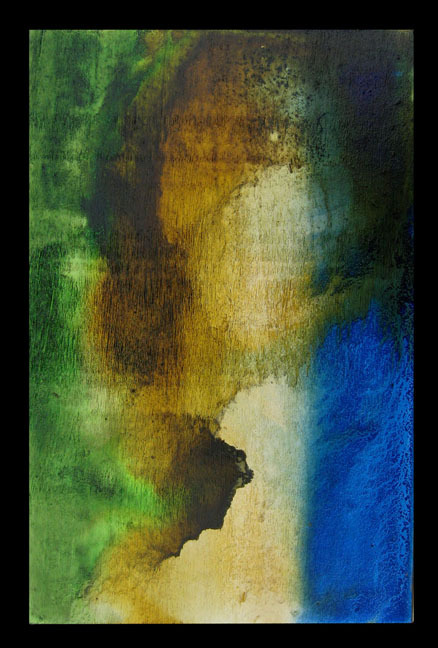 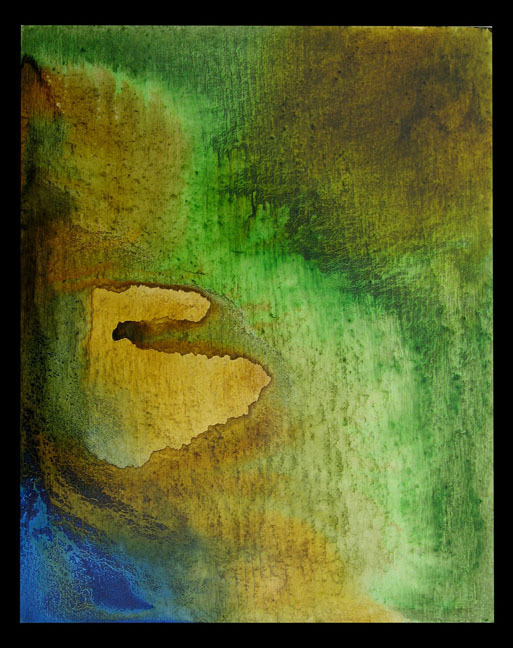 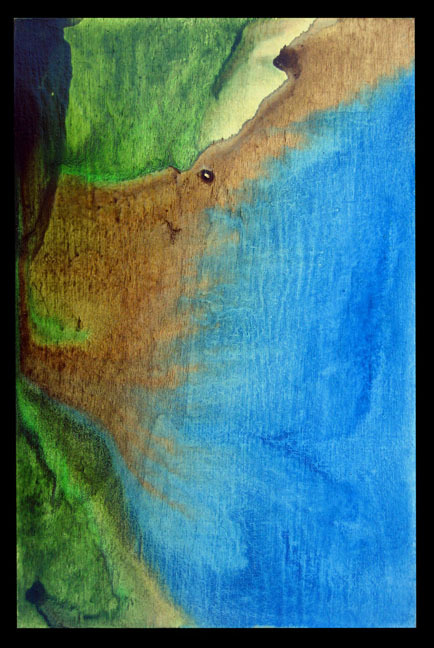 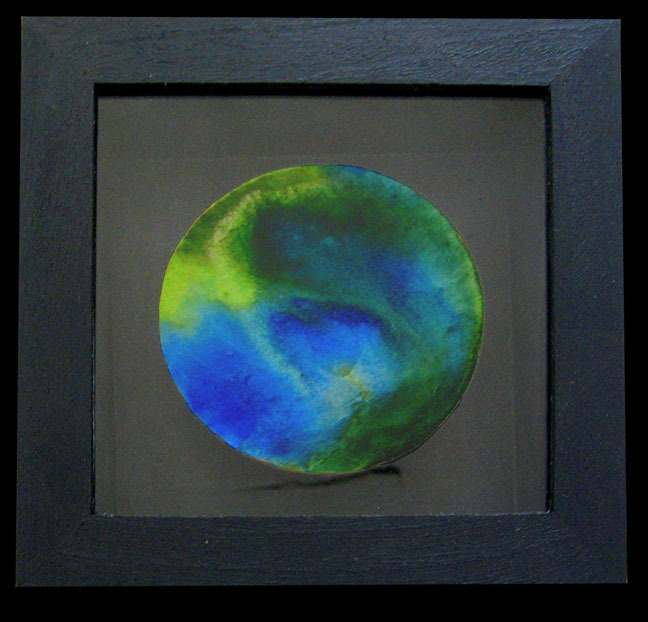 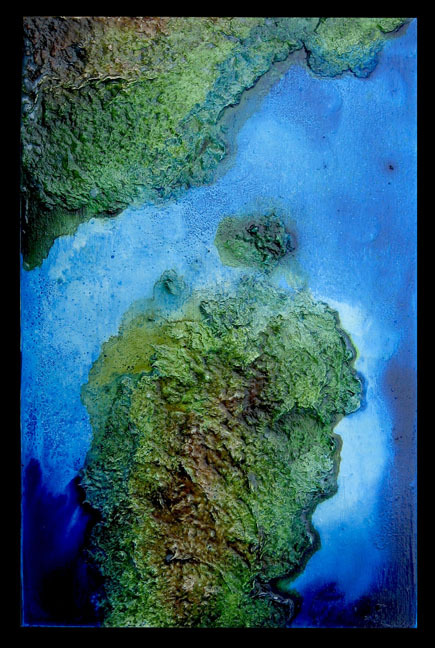 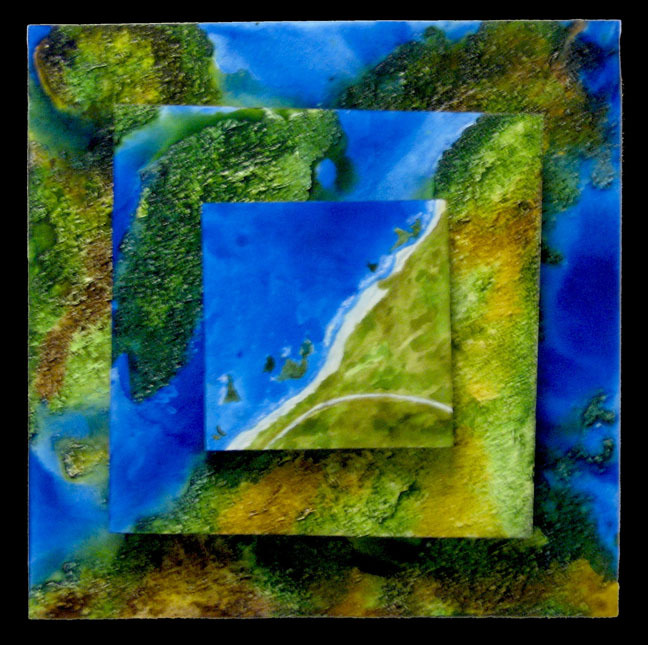 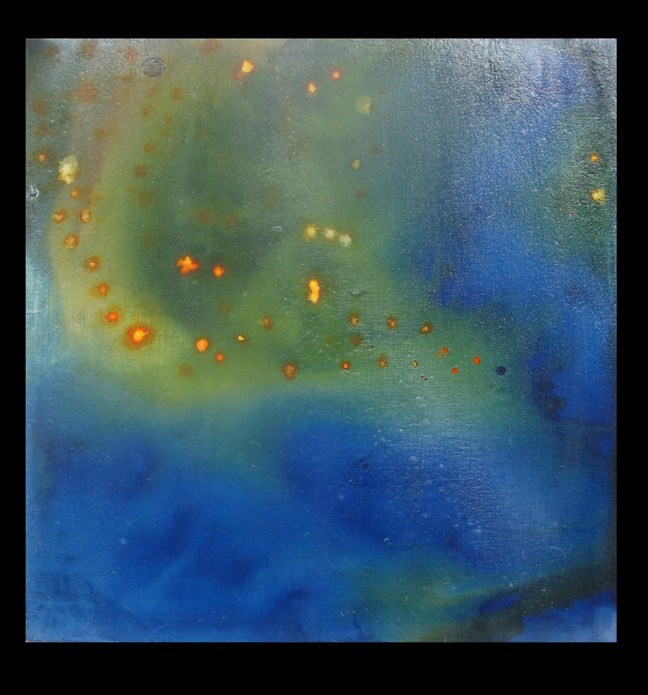 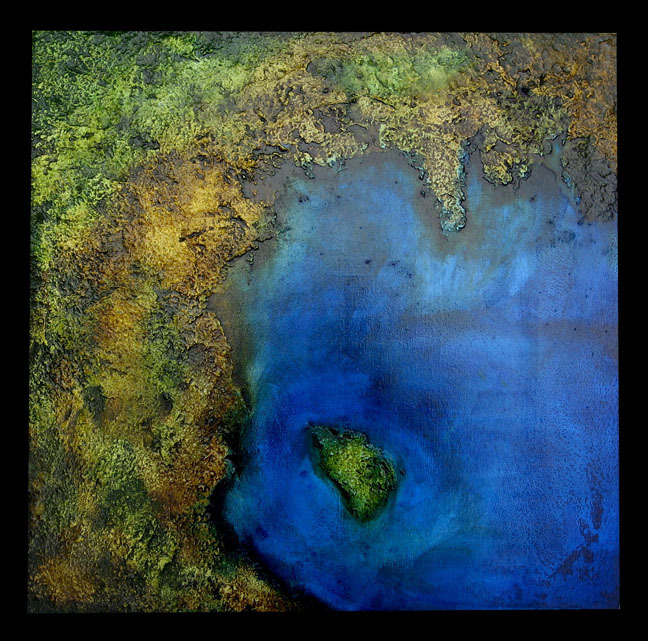 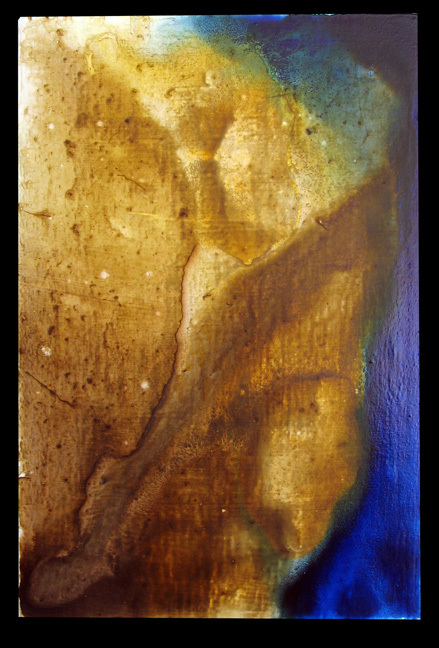 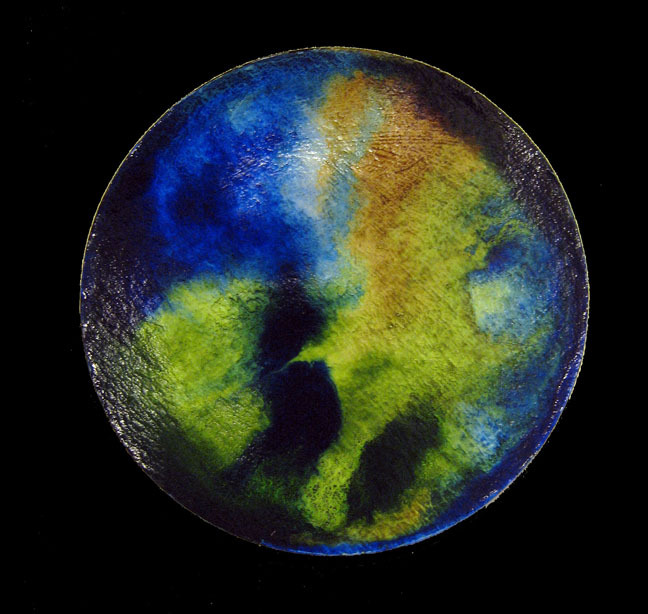 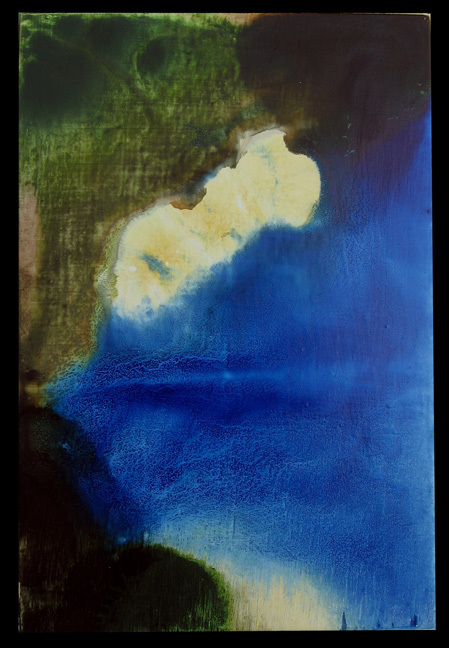 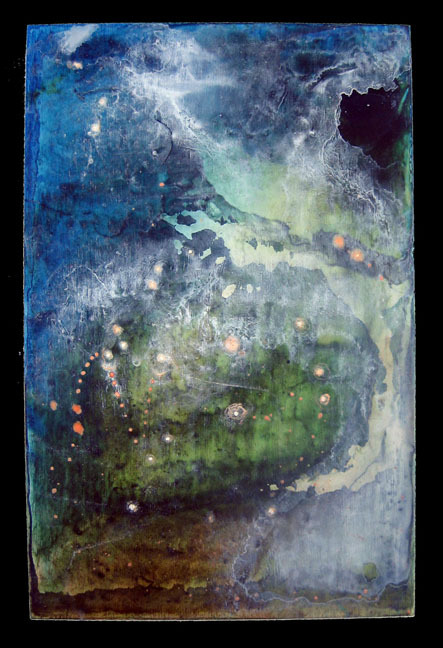 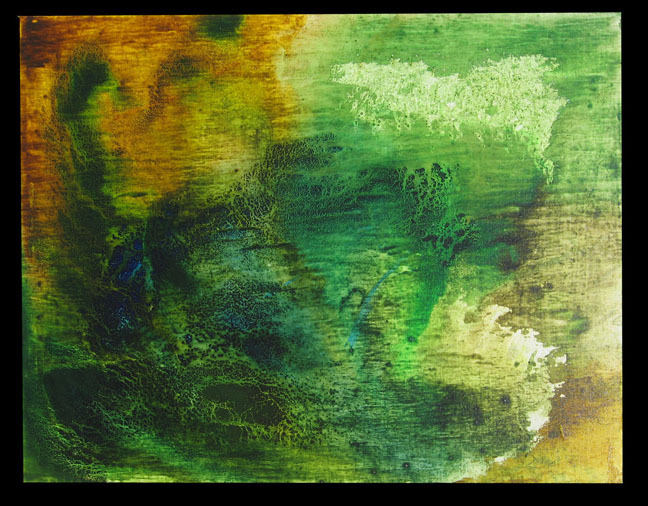 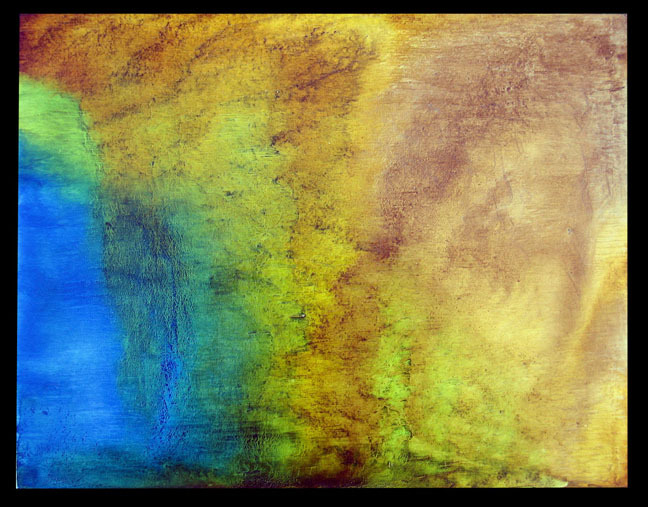 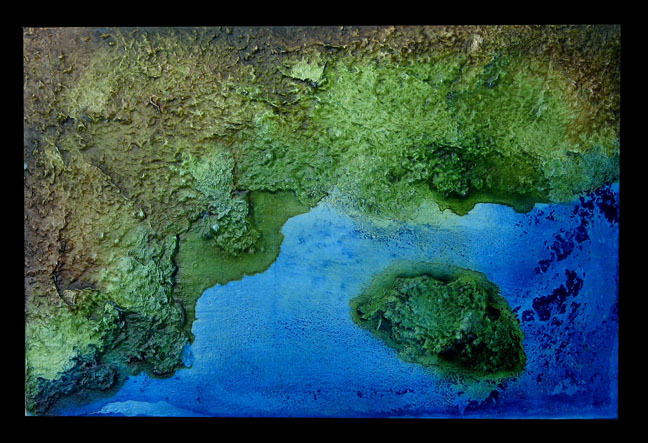 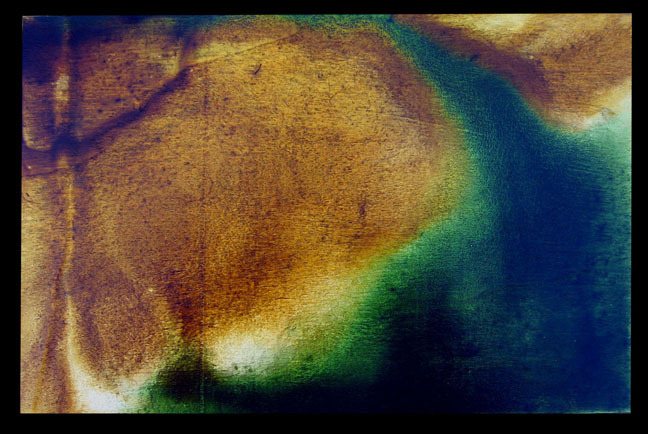 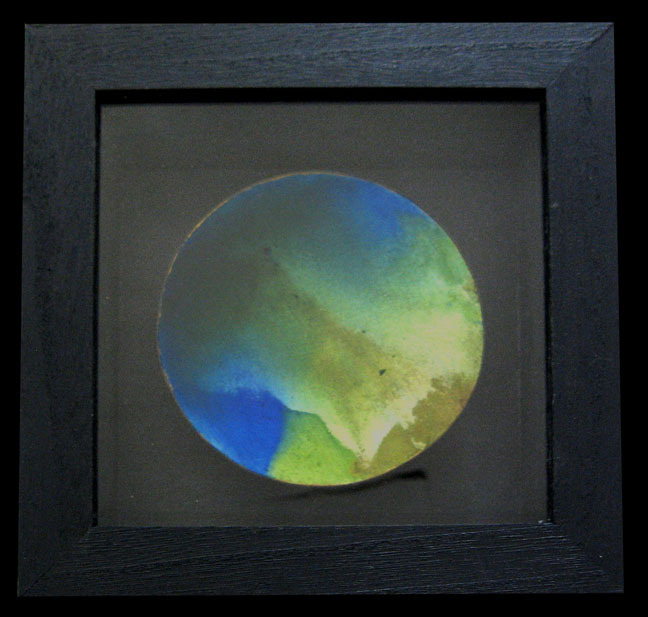 the acrylic inks easily mimic the vibrant colours of water and land masses photographed by satellites. 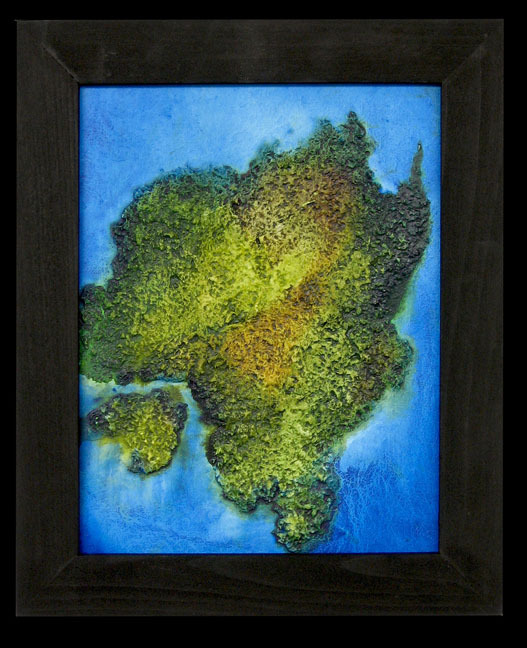 and, although my paintings may portray a small body of water, island or entire continent surrounded by sea, they do not depict real locations. 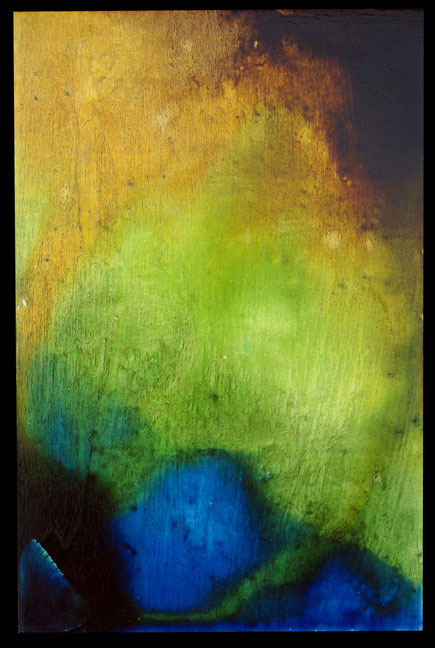 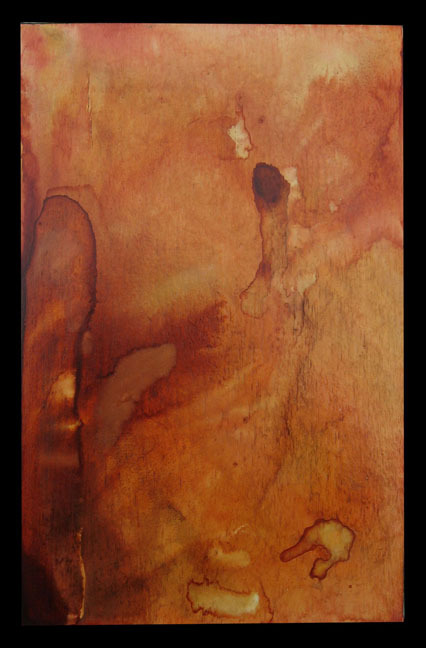 the imagery develops organically as the painting is created. 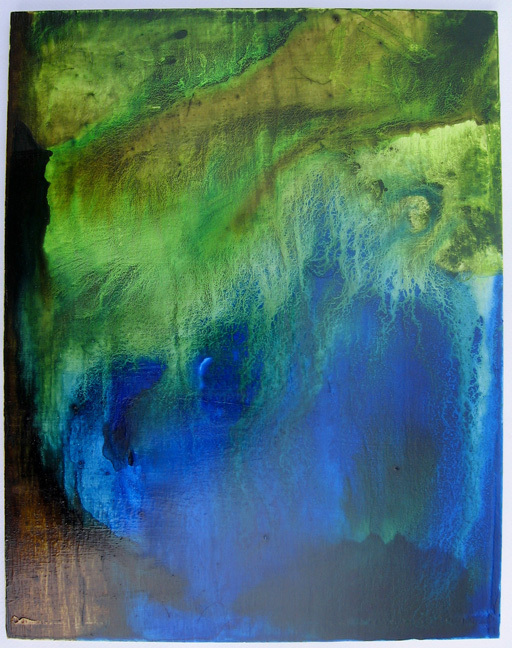 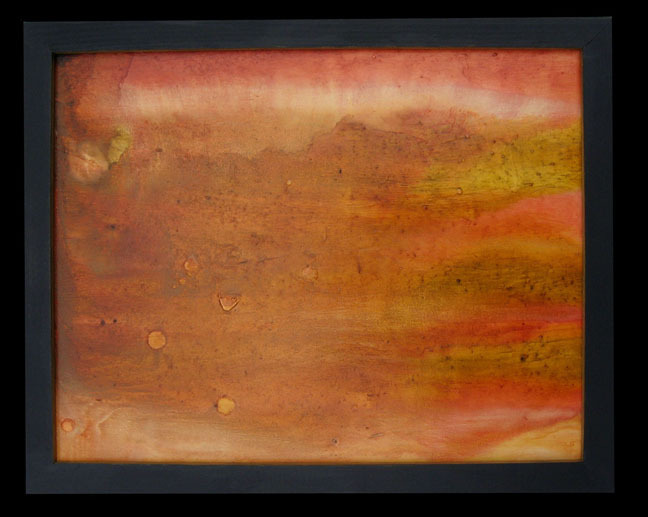 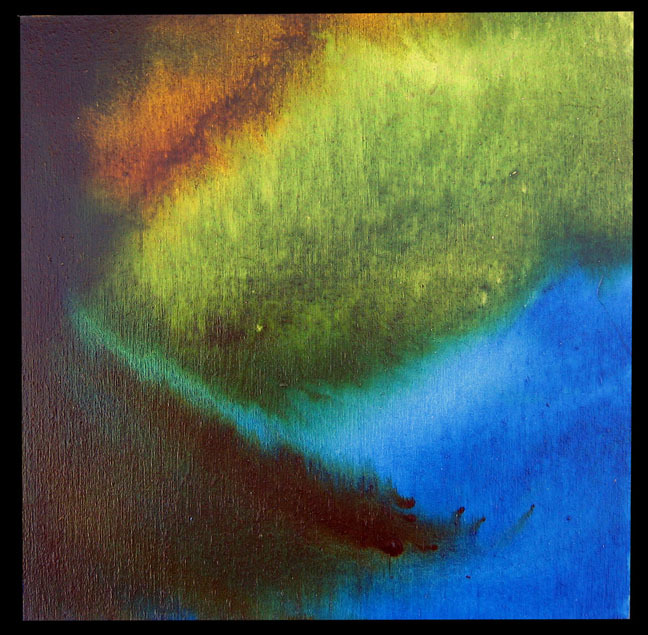 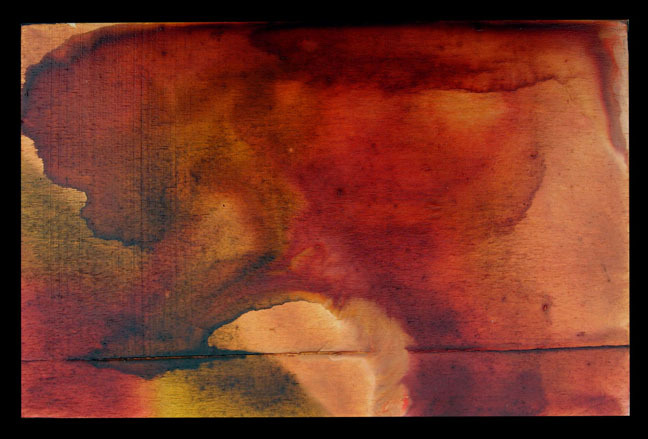 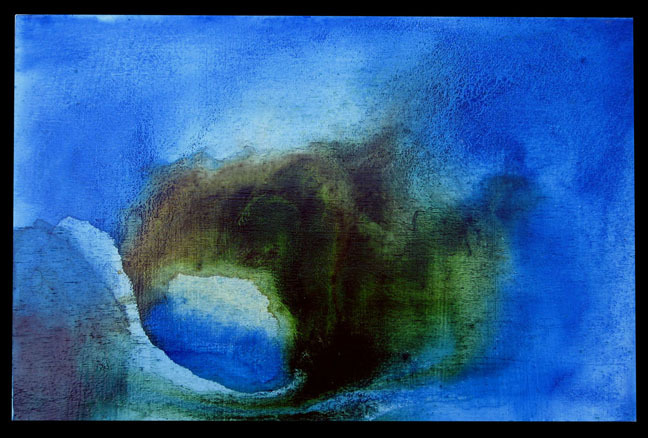 these paintings exploit the unique capabilities of acrylic inks to pool and granulate when diluted with large amounts of water. 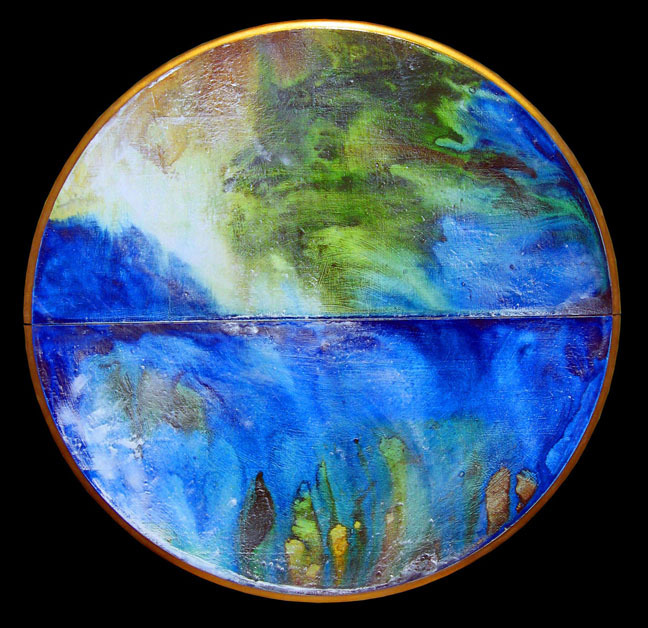 the paintings are on custom cut boards and reclaimed circular table tops. 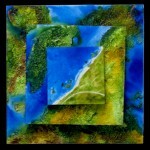 some paintings are an assembly of more than one board, to allow multiple views in one artwork. 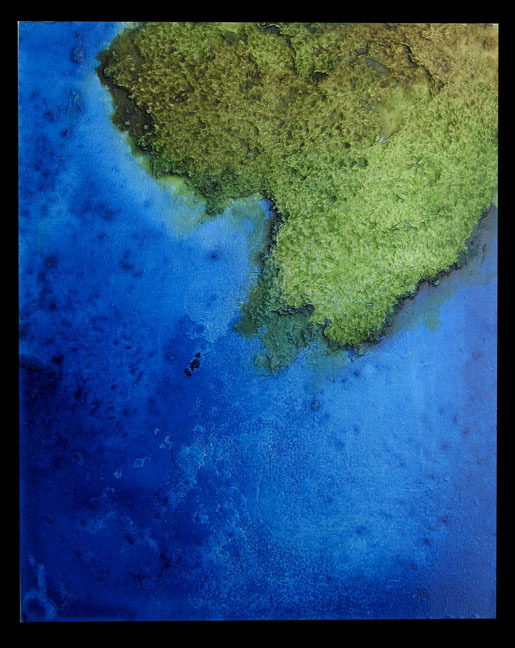 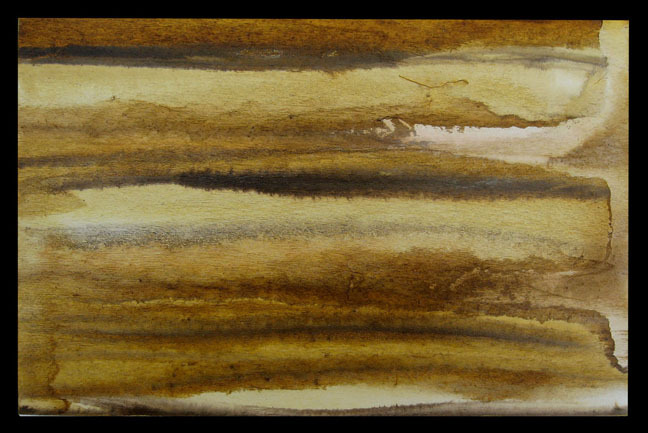 the surface of the ground is carefully prepared to create textures for the acrylic inks to pool and settle into. 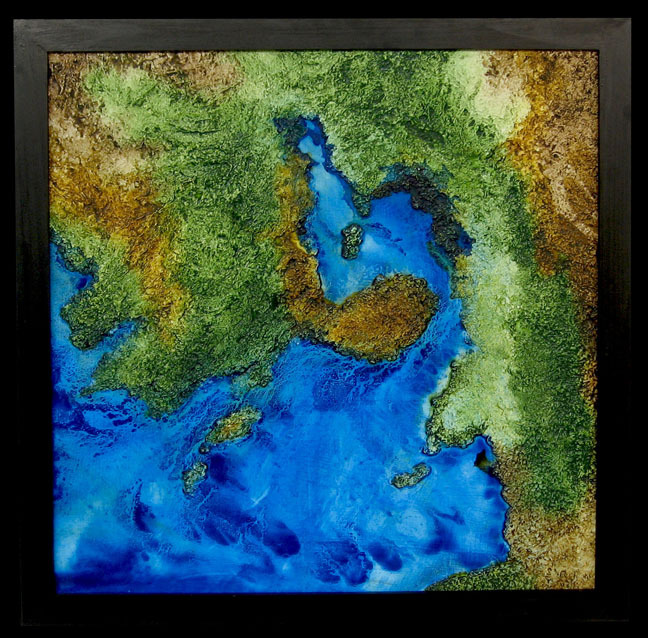 on some works, textures are created using paper pulp mixed with primer that are reminiscent of elevation maps. 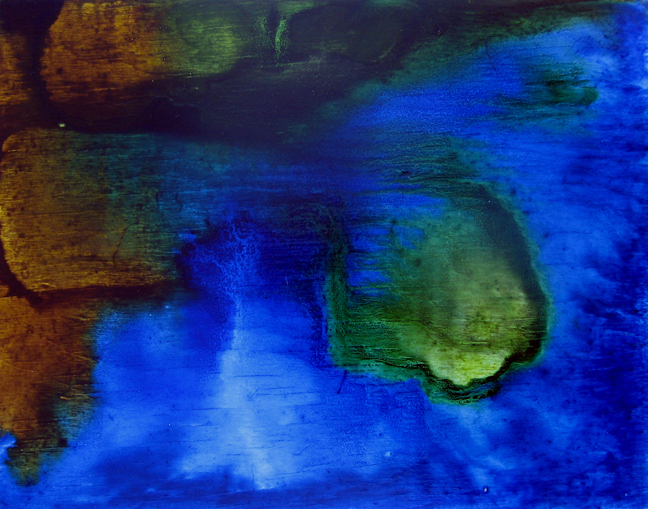 the flow of the ink is controlled not by a paint brush, but by placing the surface on a horizontal surface and allowing gravity to do the work. 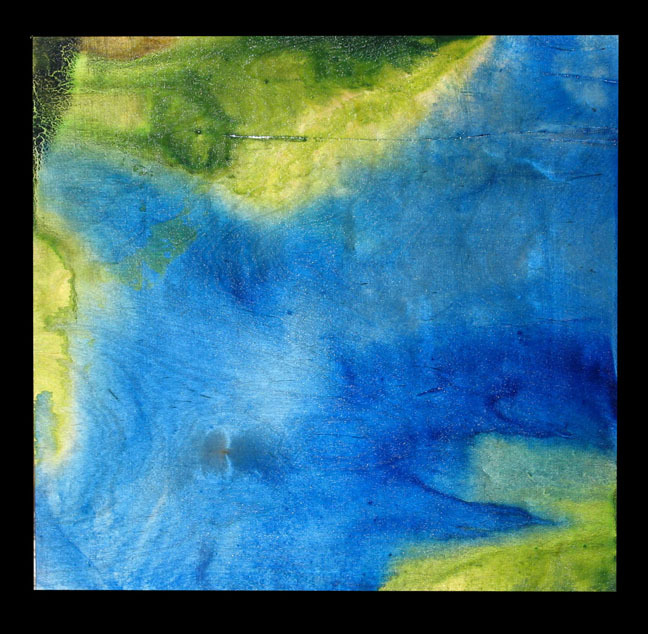 certain pigments settle into granulated patterns similar to the tributaries of a river and the natural process of water erosion on land. 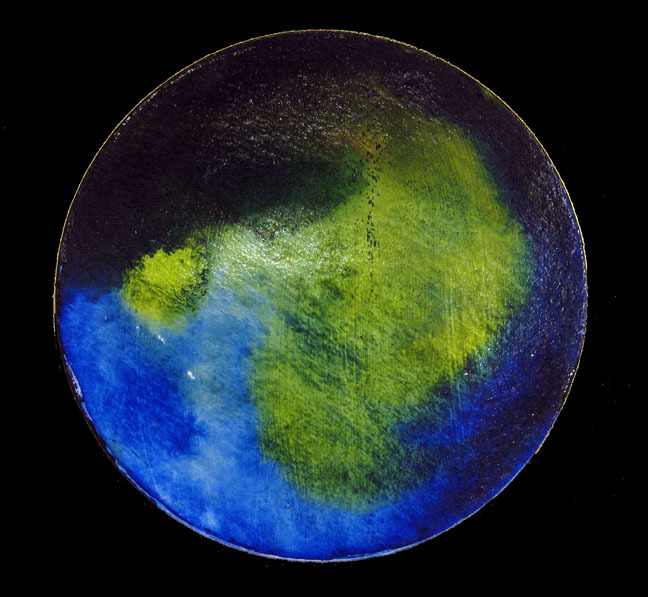 this technique involves both chance and calculation. 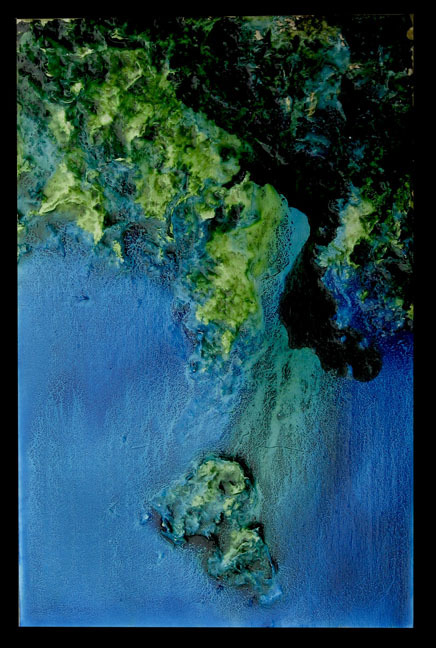 The satellite series is very cool… I love the fact that it looks so authentic (Chris Hadfieldish) but springs from your imagination. 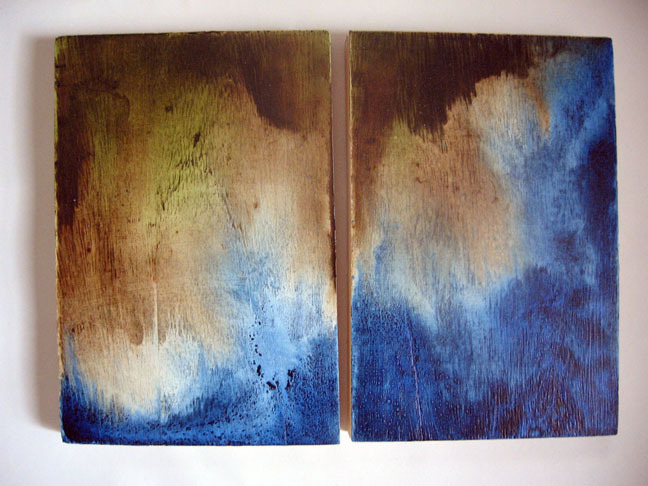 Very nice and natural looking paintings. 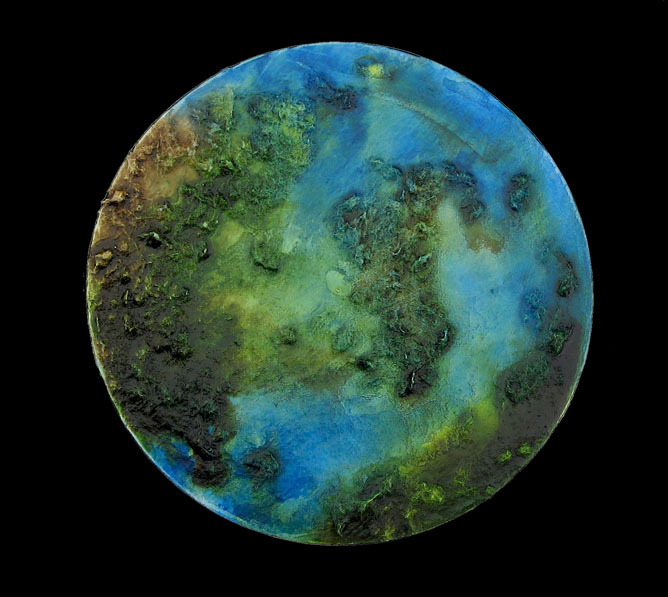 I was wondering, how you made the effect such as in “Satellite 2”. 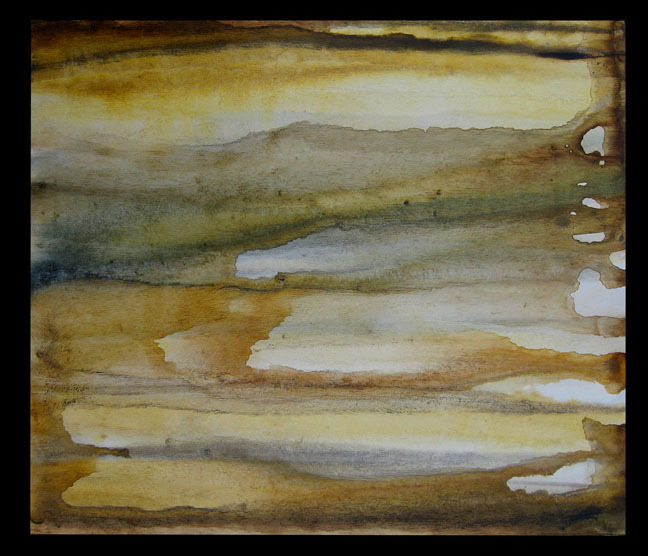 With medium, water, special ink dilution… ? 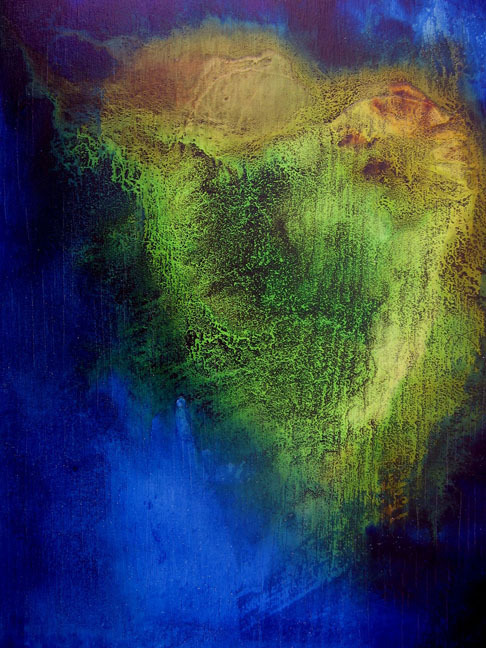 thanks, hugo! 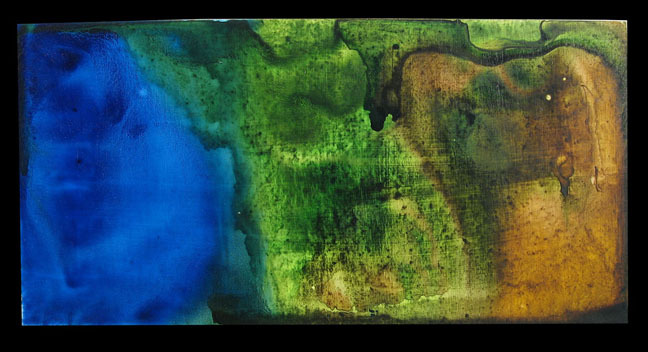 the medium is water and acrylic ink, and gravity. 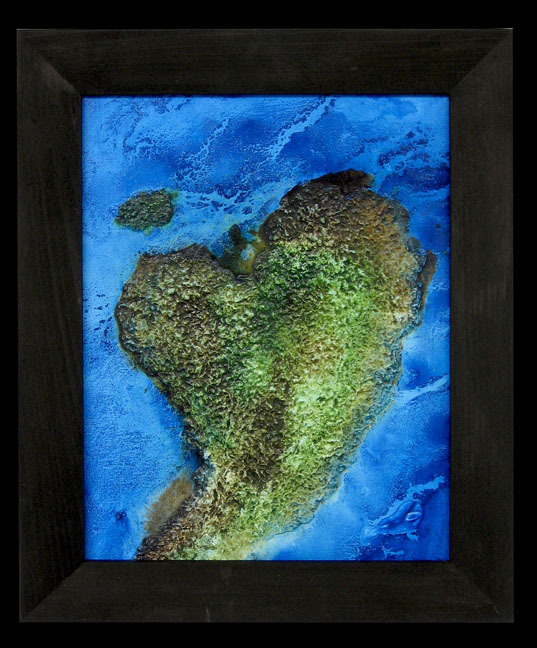 glad you like them.